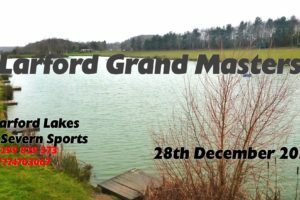 40 anglers turned out for the latest Grand Masters at Larford Lakes. Temperatures were a bitter -4C and morning mist. Winner on the day and collecting £400 was Max G (PR Floats) from peg 48 on the Match Lake. Max caught on the long pole with soft pellet weighing 46-07-00. 2nd on the day was Martin Harrell (Larford) who drew next to Max on peg 46 on the Match Lake. Martin caught on method and long pole weighing 39-04-00 and collecting £300. 4th on the day was Rich Lawson (Matrix Total Angling) who drew peg 19 on the Arena Lake. Martin Harrell , Mick Bull, Rich Lawson,Pete Black & Grant Albutt all qualify for the Grand Master final. Pete Black & Grant Albutt also qualifies for the Larford Classic final too.